From 6th December until 16th January, Royal Opera House Restaurants will serve a limited edition 'Alice Tea' to coincide with the six week run of The Royal Ballet's magical production of Alice's Adventures in Wonderland. The perfect Christmas family outing, tea will be available on limited dates to non-ticket holders. Served in the beautiful glass-vaulted Paul Hamlyn Hall, the tea, including a specially adapted children's tea, has been created by pastry expert Claire Clark, who spent over five years at The French Laundry with master chef Thomas Keller. The 'Alice Tea' will comprise Claire's typically fun, inventive flavour combinations and presentation. Cakes will include an 'Eat Me' elderflower and gooseberry Victoria sandwich, and a 'Mad Hatter's teapot' lemon and thyme sponge encased in white chocolate. Inspired by The Jabberwocky, the nostalgic childhood favourite teacake is updated with mandarin and chocolate flavours. These will follow traditional savouries of sandwiches and blinis, before freshly baked scones with Dorset clotted cream and strawberry jam. 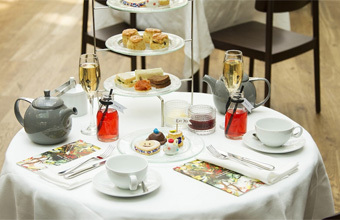 The offering is accompanied by a selection of loose-leaf teas and tisanes by London-based specialists My Cup of Tea or a special Alice-themed cocktail mixing blueberry and Ruinart Champagne, with the option of a blueberry lemonade for children. On 17th September, Royal Opera House will launch tea service for the very first time. The Alice Tea will replace this from 6th December to 16th January, and run alongside Alice's Adventures in Wonderland. The launch of tea allows guests to dine in the historic Paul Hamlyn Hall, without having to purchase a performance ticket. Each year, Covent Garden is undeniably one of the most festive areas in the capital. Perfectly embracing the Christmas spirit with a statuesque tree, the piazza is a destination for shoppers, tourists and native Londoners alike. 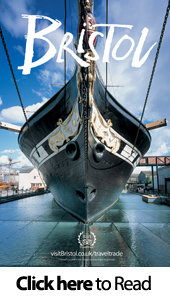 The Alice tea will make for the perfect addition to any festive family day out. 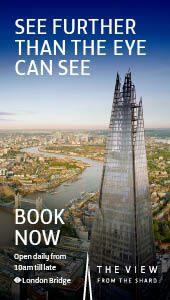 Bookings are now opened for selected dates. Tea at the Royal Opera House will be priced at £37.50, or with a glass of Ruinart Champagne at £47.50. Children's tea will be priced at £18.75. Highlights from the 'Alice Tea' menu will also be available at Royal Opera House restaurants and bars on performance dates.